Passport > Inspiration > Kiwi Curated > Where Would Gwyneth Paltrow Go? Globetrotting for both work and pleasure, Gwyneth Paltrow has supremely good taste in places. Take vacation inspiration from some of the Goop founder and actress’ recent romantic getaways and family holidays. After their wedding in the Hamptons at the end of September, Gwyneth and husband Brad Falchuk headed to Umbria for their honeymoon. The region is known for its lush green landscape, and that’s precisely what G posted a picture of on Instagram. She didn’t give away her precise location but we wouldn’t be surprised if it was Eremito Hotelito de Alma. 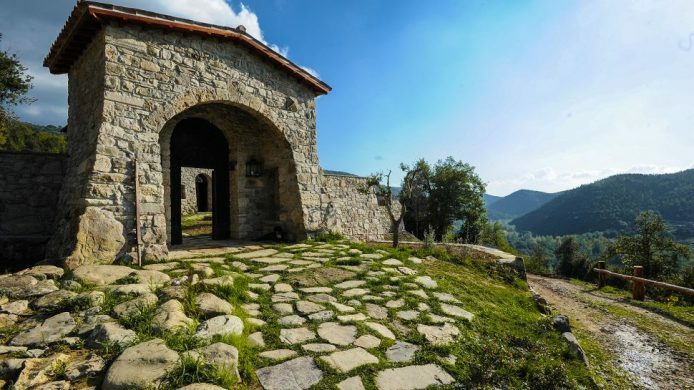 Housed in a 14th-century hermitage and surrounded by a nature reserve, the secluded eco-resort is very Goop-worthy. 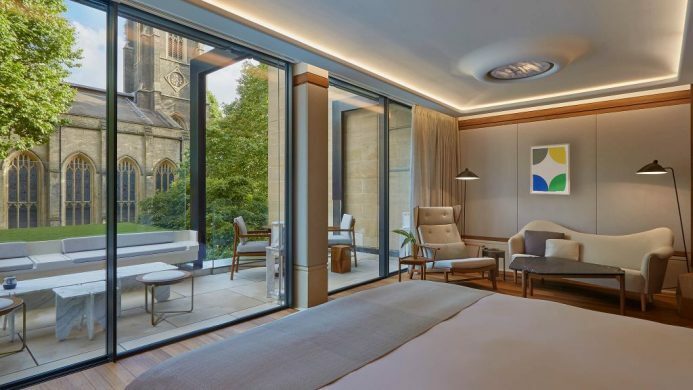 Next on the Paltrow-Falchuk honeymoon tour, the couple hit London, where they stayed in one of The Berkeley’s penthouse Pavilion Suites. 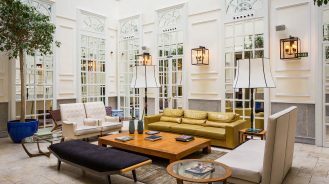 Gwyneth posted a pic of the church view from her terrace and the living room with the caption, “I’ve been totally spoiled by my fave London hotel @the_berkeley.” She also tucked in a bit of work, stopping by the launch of the Goop’s London pop-up store in Notting Hill. A couple months before the nuptials, in June, Gwyneth and Brad vacationed in Capri. They spent their time aboard Valentino co-founder Giancarlo Giammetti’s yacht. 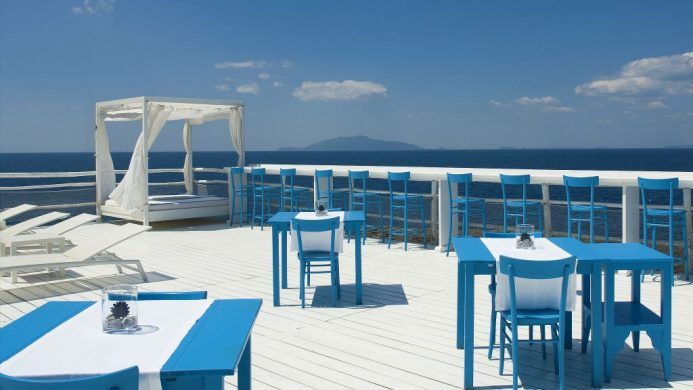 For those of us short on yacht invites, there’s Capri Palace Hotel and Spa, which Goop recommends, stating, “The food is delicious (the on-site restaurant has two Michelin stars), the spa is fantastic, and you can walk down the hill to get sandals handmade in Capri at the city’s best shoemaker.” Sold. Another city dear to Gwyneth is Barcelona. She lived here for a year when she was younger and returns regularly, including March of 2017 amid rumors she and Brad had gotten engaged. 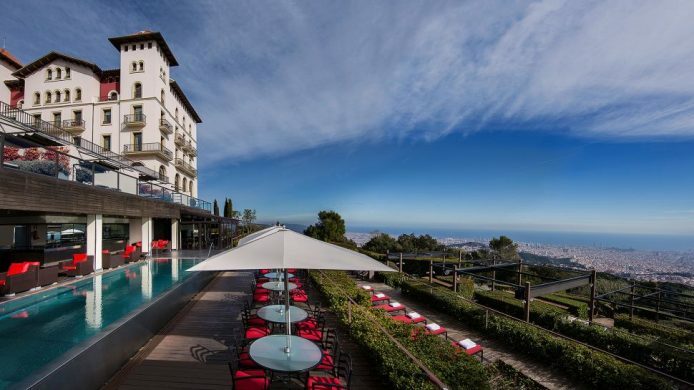 While she didn’t say where she was staying, she posted a selfie surrounded by greenery with the city off in distance, and that’s what the Gran Hotel La Florida offers up. Celebrities are nothing new to the 93-year-old property; in the 1950s it counted Ernest Hemingway, Rock Hudson and James Stewart as guests. 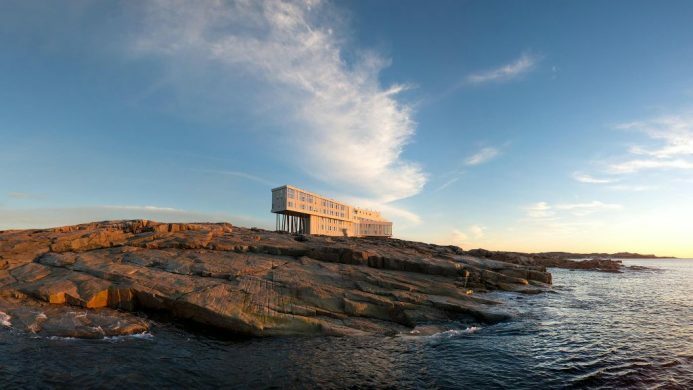 In July 2016, Gwyneth stayed at the Fogo Island Inn on a remote island in Newfoundland, posting a photo of her dinner spot, the Inn’s Arts Tower Studio, and a video of a roaring oceanside fire. 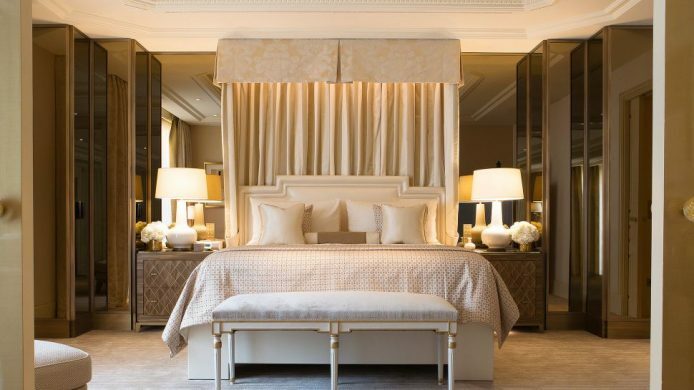 The 29-suite property was distinctly designed by architect Todd Saunders. Striking a beautiful contrast to the modern white walls are unique, colorful furnishings created locally. This is one of those bucket list destinations. A few months earlier that year, Gwyneth took her kids on a Peruvian adventure hitting up Cusco, Machu Picchu, Lima and little towns in between. 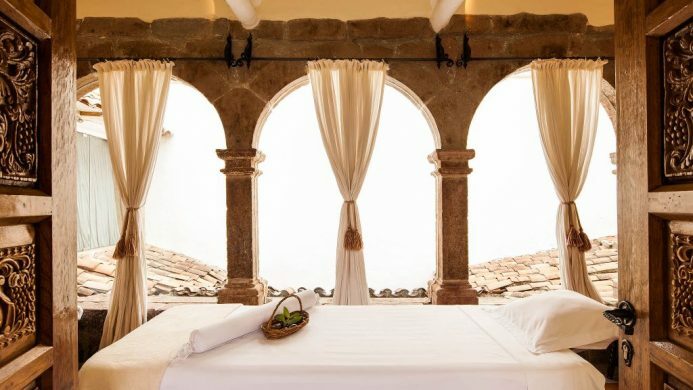 It’s not clear where exactly they stayed, but Goop has a number of recommendations in Cusco, including Inkaterra La Casona. 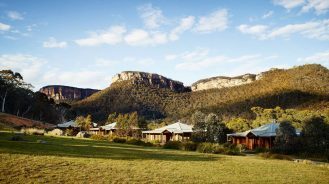 The circa-16th century manor features just 11 suites, and their spa is right up Gwyneth’s alley with spiritual, sensual and soothing treatments using 100% natural products made from local botanicals. 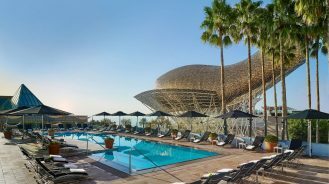 The hotel also makes sightseeing easy with full- and half-day excursions. En route to Peru, Gwyneth first stopped in Buenos Aires so Apple and Moses could see their father, Coldplay’s Chris Martin, in concert. The amicable, consciously uncoupled pair reportedly both stayed at the same Four Seasons Hotel there. 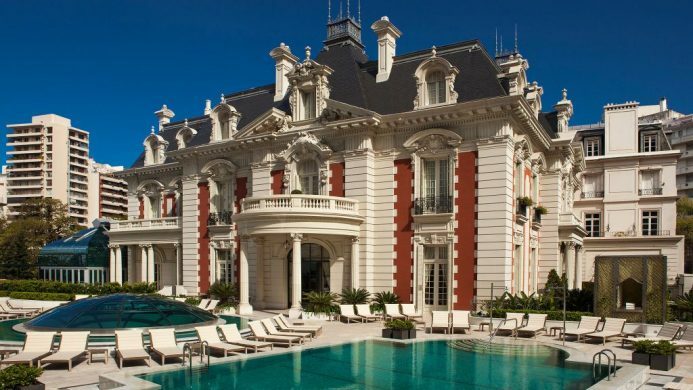 Likely they stayed in two of seven suites on Belle-Époque-style mansion side, one of which has a fireplace and private bar of Argentine wines. The Roman-style pool outside was no doubt a hit with the kids.